Dr. Shah and her team are here to help with your dental needs. Hillcrest Dental at Castle Hills is a top rated dentist in Lewisville. Starting at $9/month (paid annually). Call or email for more details. Hillcrest Dental at Castle Hills has something for the whole family. $1000 off Invisalilgn treatment. Contact us for an appointment. The latest dental technology allows Dr. Shah to treat you better. The staff at Hillcrest Dental were very helpful. They offered excellent customer service, were very thorough with information. Definitely recommend them! It was a fantastic experience.The staff is very friendly & very helpful. I would highly recommend Dr, Namrata.She is an awesome dr who is very friendly and explains everything in detail. Dr.Shah is a very meticulous, honest and informative dentist. Excellent patient care is of utmost importance to her. Great work and Staff is extremely professional! Assisted me right away! Will recommend to EVERYONE!! 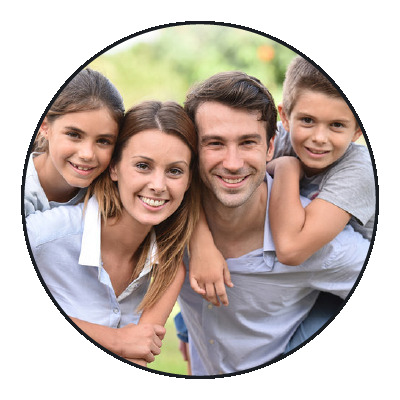 Located in Lewisville, TX, we are your local, comprehensive dental solution for the entire family. Hillcrest Dental At Castle Hills can help you begin your journey to a healthy, beautiful smile. Nestled in Castle Hills, in the town of Lewisville, TX, we serve patients in and around Castle Hills including The Colony, Carrollton, and the nearby communities of Irving, Coppell, Frisco, and Plano. Our family friendly dental office treats patients from their first tooth through retirement and all ages in between. We manage everything from your children’s checkups and cosmetic dentistry to natural-looking implant restorations and appliances for TMD and teeth grinding. Dr. Namrata Shah and her knowledgeable, compassionate team are dedicated to giving each patient a positive, memorable, and personal experience. We want you to feel relaxed in our office, and we pride ourselves on educating our patients to help them make informed decisions of their oral health. Our goal is to provide optimal oral health care in an atmosphere that is a perfect blend of an old-fashioned family-style practice and innovative, cutting-edge technology to ensure our patients have a comfortable and positive dental experience. Keeping your comfort in mind, we offer all our services in bright, natural-light filled treatment rooms where you may enjoy stereo headphones and movies during treatment. We even have a coffee bar in the waiting room and an Xbox in the play area! Whatever your dental needs, come visit us for the kind of quality, convenient care that means healthy teeth and gums and beautiful smiles! Dr. Shah and her team offer cosmetic dentistry options that perfect your smile & restore your confidence. Contact Hillcrest Dental at Castle Hills today. Dental implants bring the ultimate solution for missing teeth. Dr. Shah in Lewisville, TX brings her expertise to direct your implant case at every stage. Dental health moves through many stages. Hillcrest Dental at Castle Hills in Lewisville, TX offers a range of preventive, cosmetic, & functional care for every age.